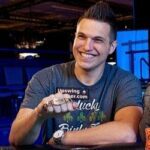 About a week and a half ago, the day after the American Poker Awards (APA) ceremony took place in Los Angeles, Doug Polk released a new video on his poker YouTube channel. That’s not really too newsworthy an event on its own. After all, Doug’s YouTube channel is always quite active, treating his 175,000+ subscribers to new content on a very frequent basis. This video’s content, however, struck me as quite unique indeed, though, as for 20+ minutes we saw a considerably different Doug Polk from the one poker fans are used to watching in front of the camera. If you haven’t watched it yet, I recommend that you take the time to do so now. Whither the Coverage? Whither the Tone? Considering that Doug’s videos often serve as a flashpoint of so much talk in the poker world, I found it somewhat odd that this latest video caused barely a ripple by comparison. Indeed, part of the reason I waited over a week to pen this op-ed was that I was wavering back and forth on whether or not to publicly offer my opinion. Astute, longtime readers of this poker blog might realize that we haven’t given Doug and his body of work on and off the felt too much coverage here at Cardplayer Lifestyle. Perhaps it’s time for that to change? It’s not always easy to strike the right tone. Sometimes you have to get the tone perfect, lest you be misunderstood or your words taken the wrong way. Writing an op-ed or giving a public speech illustrates this point perfectly. Sometimes you can say all the right things, but if you use the wrong tone, your message will get lost. People de facto focus on a person’s delivery, so much so that at times they’ll unfortunately even forget the message’s content entirely… but they’ll certainly remember the tone. Doug’s was a name that shot to poker superstardom over the past year. At the felt, he collected almost $4.3 million, close to half of his lifetime live poker earnings, including his third WSOP bracelet while winning the High Roller for One Drop. Polk arguably had an even bigger impact off the felt, producing about 200 videos that garnered millions upon millions of views. Doug has some obvious smarts as well as comedic chops. 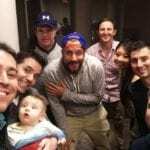 Possessing the resources to back such a venture, he plunged himself wholheartedly into producing a vast body of poker content that undoubtedly made a major impact on fans of the game – and that’s just referring to his work on YouTube and Twitch. There’s also the massive amount of time and effort he dedicated towards promoting his company, Upswing Poker. Without a doubt, his was the foremost name on the lips of multitides of poker fans this year. Thus, the disappointment that Doug expressed in his latest video in going 0-for-4 was not only palpable, but also somewhat understandable. The man put forth one hell of an effort in 2017 and getting swept at the APA might lead one to believe that he has “nothing to show for it.” I beg to differ, however, for a couple reasons. First off, let’s not lose sight of the fact that Polk faced some incredible competition for each award for which he was nominated. In fact, Doug himself noted, prior to the awards, that he didn’t expect to win for Vlogger of the Year or Tournament Performance of the Year, even expressing the sentiment that he might only be a dark horse to win Influencer of the Year. Having myself been a member of the Jury for this year’s APA, I can say with absolute certainty that Doug’s candidacy for each of these awards was given full and proper consideration. Yet, the vlogging by Andrew Neeme, WSOP Main Event performance by Scott Blumstein, and influence of Cary Katz, each respectively just proved too strong to pass over for award recognition. As for the “Personality of the Year” award, this was plain and simple a pure fan vote. We won’t ever know the final tally of votes cast, but surely Polk’s total couldn’t have been too far behind that of evenutal winner Andrew Neeme. So, in a sense, Doug’s lack of 2017 APA hardware isn’t as much a poor reflection on him, but rather indicates the strength of the competition he faced. Secondly, while Polk might not have won any awards, the mere fact that he was shortlisted for FOUR of them is astounding! That accomplishment speaks to the fact that he is a true “all-rounder” possessing a litany of poker and poker-related skills. Back to those Jury deliberations we had; at some point the question as brought up “But what about Doug? Look at the huge audience he’s amassed! Where’s the acknowledgement? Where’s the reward for that?” I suggest that possession of said audience is “the reward” in and of itself. One doesn’t need an independent third party to validate the presence of the masses. Moreover, and here’s a lesson I learned from Joey Ingram, what other people feel about your content shouldn’t matter to you as much as your own feelings about what you’ve created. At the end of the day, you’ve got to be proud of the work you’ve done; that’s it. That’s when the penny dropped for me. For the first time, some vulnerability. Some pure, genuine humanity. 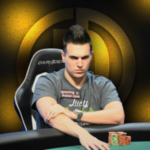 Doug Polk, not the superstar, but the regular poker-loving guy, was on full display right then and there. Here, before our very eyes, was the first glimpse of that change in tone he claims he wishes to make. 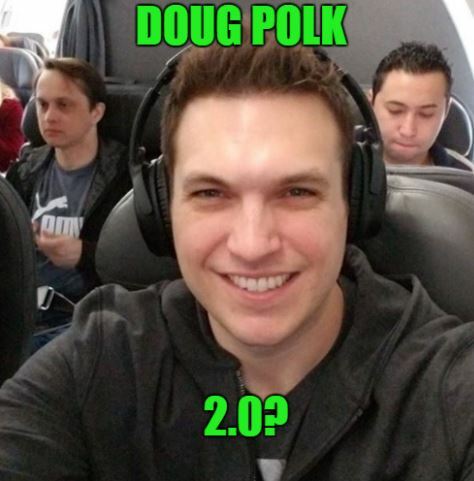 Up until this point, it seems that what’s rubbed many people the wrong way about Doug Polk’s on-screen persona is how it was built. For all the flash, flair, catchy titles, snazzy thumbnails, and skilled video editing, there are two ways to reach the top of a mountain: by doing your best to climb it or, alternatively, by stepping on other climbers in order to try and boost yourself higher. For perhaps a bit too long, we’ve seen Doug opt for the latter approach. It has worked, to be sure; he’s got his audience after all, but at the same time it understandably hasn’t gained him universal acclaim across the industry spectrum. And that seems to be the crux of it: an unspoken wake-up call appears to have been answered. Everyone Wants an Award; Please Don’t Stop Chasing It! It’s fascinating, really, that someone can have boatloads of money and legions of fans, but still crave some sort of elusive recognition. It’s a feeling that resonates quite strongly with me. 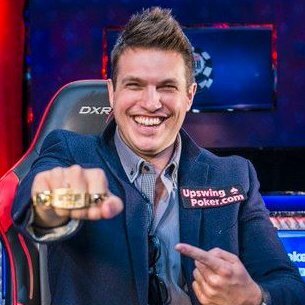 Beyond wanting to make a living from working in poker media and also have as many people as possible reading and engaging with the content I put out, I’ll freely admit to coveting an American Poker Award as well. Who wouldn’t? There are years, like last year, where I don’t feel like I “hit any home runs,” but in previous years, having put out what I humbly deem to be some rather fine articles, it’s disappointing, to say the least, to not ever have even made the shortlist for an award. To be disappointed is only human, especially if you’ve in fact been nominated and have gotten so close to claiming an award. 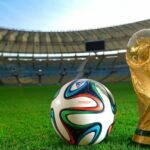 Yet, a person has two choices: you can take your ball and go home or you can use the disappointment as motivation for doing even better next time around. When I see the list of candidates that get nominated and then those who win the awards each year, I choose to be inspired to try and do better. It’s clear that Doug’s attention has turned more to the cryptocurrency world. And there it is again. Not apologizing for who he is; a little rough around the edges – and he’s OK with that. The poker world can be OK with that, too, so long as he continues to strike the right tone. Let’s hope, for Doug’s sake and for the sake of the greater poker world, that his best poker output still lies ahead. I still personally don’t see how Neeme beat out Doug, or frankly any of the other nominees in Vlogger category. That’s still the most baffling choice IMO. “there are two ways to reach the top of a mountain: by doing your best to climb it or, alternatively, by stepping on other climbers in order to try and boost yourself higher. Ya, it really is a shame that 100% of Doug’s videos are him stepping on other players with the soul goal of becoming more popular.